Domino's is planning to buy 5,000 units of Chevrolet's small car - Beat, which is also known as Spark in some countries. Domino’s understands the need of delivering oven fresh and hot pizzas to their customers doorstep. But, this is nothing unique that Domino's is doing. 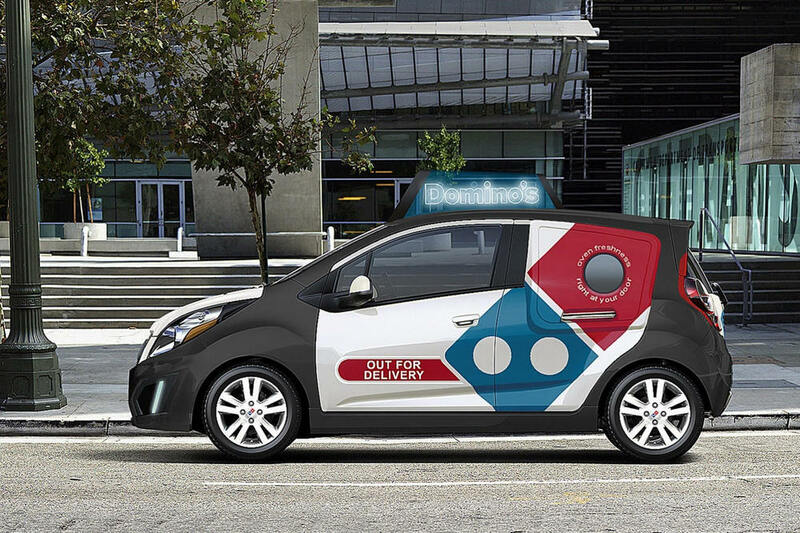 Last time Dominos was in news for ordering Renault's Twizy for delivering Pizza. Meanwhile, Domino's also conducted a 5 stage Domino Ultimate delivery vehicle challenge which completed in August 2012 and the winners are out now. The aim of this contest was to find the best design for a delivery vehicle which would come at a price of $20,000 (INR 10,87,400) for Domino’s Pizzas. The competition was divided into four categories – exterior rendering, interior rendering, night scene and best branding. Romanian designer Marian Cilibeanu was a winner in three of the four categories. His D-Box2 won first place where exterior rendering was concerned which is ideally suited for Domino’s Logo and Out for Delivery signs. D-Box2 project was also the cynosure of all attention due to its special bulls eye window on delivery door situated just behind driver’s door. Romanian designer Ianis Vasilatos and SparkUS project was ranked third where interior rendering category was concerned. 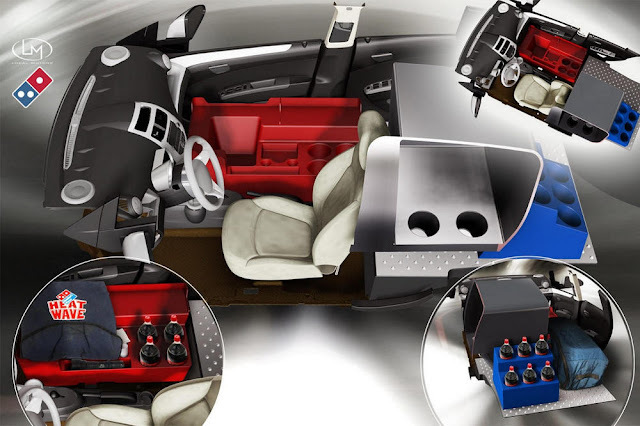 5000 Chevy Sparks will be added to the Dominos Pizza delivery for their US fleet, one for each franchisee. View More Images here !